Basecamp.com is a great tool for project-based communication between your team and the client, and Costlocker supports integration with it. Connecting Costlocker and Basecamp is easy. Start by clicking your name in the upper right corner and select Settings. 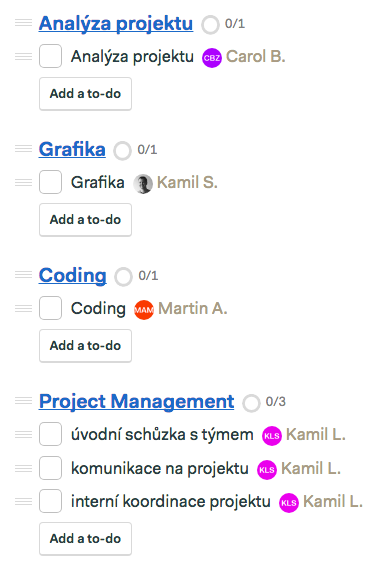 Next, click the Basecamp tab. 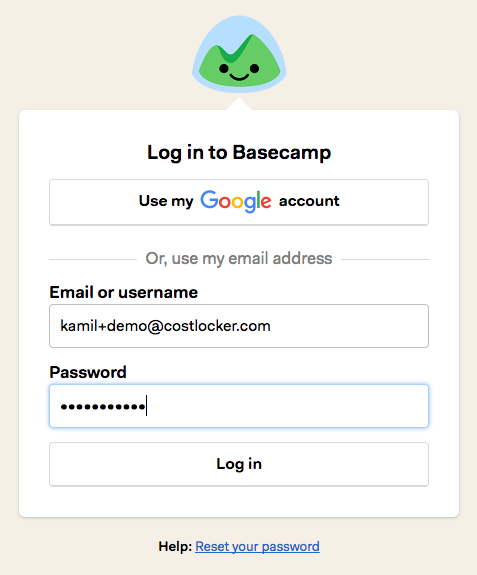 Click the Connect to Basecamp button and enter your Basecamp credentials. 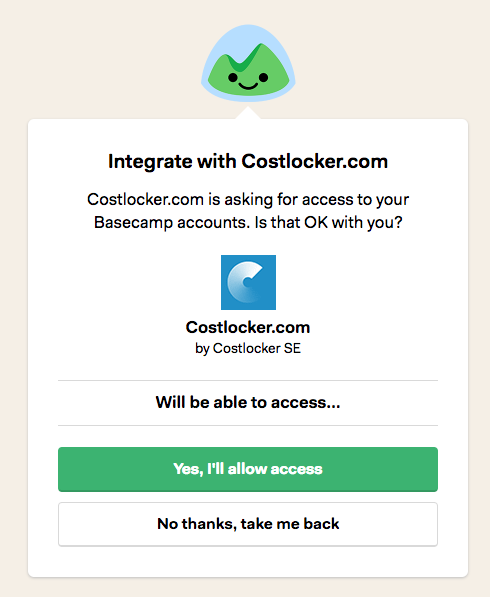 Confirm that you want to connect your Costlocker account with your Basecamp account. As soon as everything’s done, you’ll get back to your Costlocker account, where you’ll see the Basecamp account you’ve just connected. The current version of integration allows one-off data export from Costlocker to Basecamp. Go to any project page in Costlocker and click the Basecamp tab. 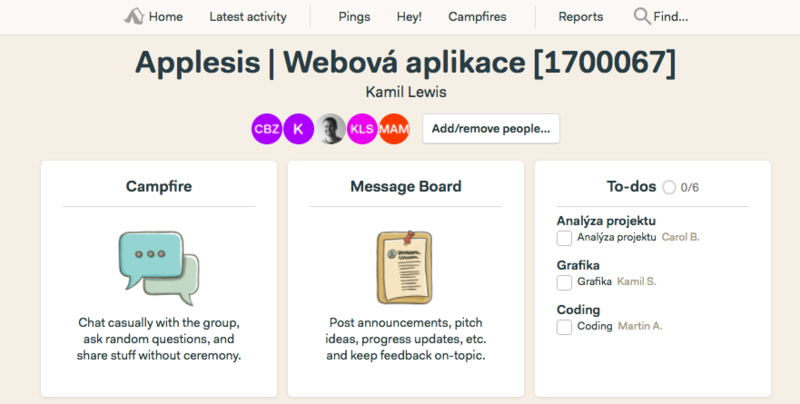 Now you can decide whether you want to create this project as a new project in Basecamp, or whether you want to add it to an already existing Basecamp project. 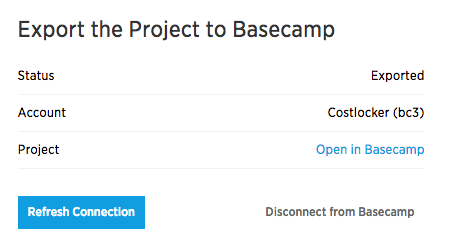 Click the Open in Basecamp link and you’ll be redirected to the project page in Basecamp. Moreover, To-Dos were created based on the activities and roles you entered into Costlocker, along with people assigned to them. Let’s say your client agrees to pay for a copywriter on a project. You’ll want to edit the project’s Personnel costs and add a new activity – Copywriting. As soon as you save, a confirmation pop-up will inform you that everything was synced with Basecamp. 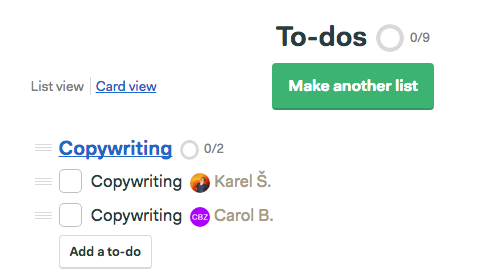 When you go back to the Basecamp project page and look at the To-Dos section, you’ll see that Copywriting was added as a new To-Do. The process described above works for adding new people, too. All changes are immediately reflected in Basecamp.